There are many different forms of transportation. Sometimes we need to travel by land, air or water. 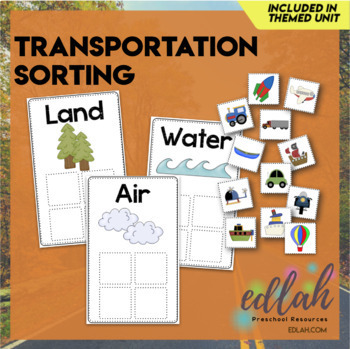 This activity will get your student(s) thinking about why we have so many different forms of transportation. This download includes 3 sorting boards (each measures 4.5 x 7.3 inches) and 12 answer cards (as pictured). This file is also available in a black and white version if you prefer, or can be purchased as a bundle if you would like both versions.